The world’s largest airplane made its first test flight on Saturday in California. 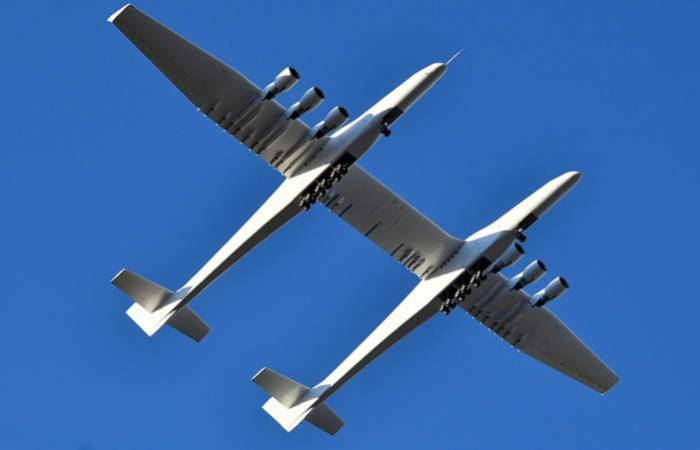 The plane, built by Stratolaunch Systems Corp, stayed aloft for more than two hours hitting a top speed of 304km per hour and reached an altitude of 5,182m. It landed safely back at the Mojave Air and Space Port as a crowd of hundreds of people cheered. “Today’s flight furthers our mission to provide a flexible alternative to ground launched systems,” Floyd said. “We are incredibly proud of the Stratolaunch team, today’s flight crew, our partners at Northrup Grumman’s Scaled Composites and the Mojave Air and Space Port,” he added. Stratolaunch was established in 2011 by Microsoft co-founder Paul Allen who died in October last year. The company aims to make access to orbit more affordable and accessible by launching satellites into space from aircraft, rather than from the ground.